Brittany Stiles: Did ya hear? 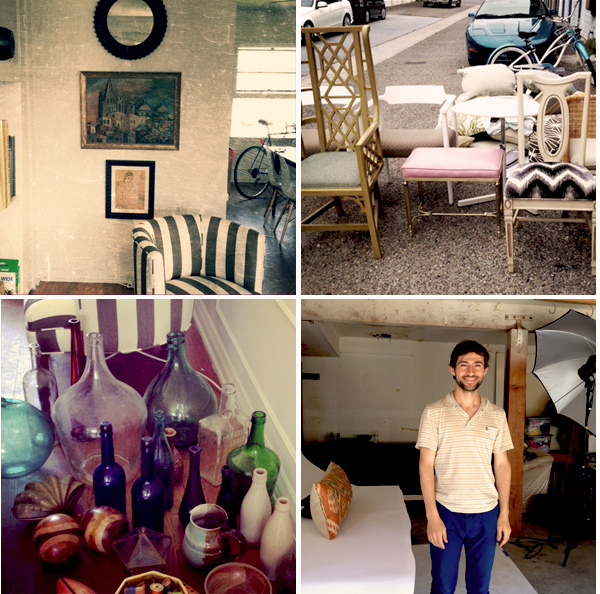 I'm so excited to announce my 2nd One Kings Lane Tastemaker Tag Sale! I've spent the last 7 months, curating this collection; gathering one-of-a kind vintage finds to try and make this sale even better than the last. I'll have a lot more product this time around and a wider variety of things for sale; ranging from upholstery, to case goods, to unique table top items and wall decor. A lot goes in to prepping for the sale and last Thursday and Friday were full days of photographing each individual item including many extra detail shots. It takes a team of about 4 people to shoot, record, measure, and weigh 100 items per day. Above are some of my Instagram photos from the shoot. We had a blast and it got me even more excited for the sale. 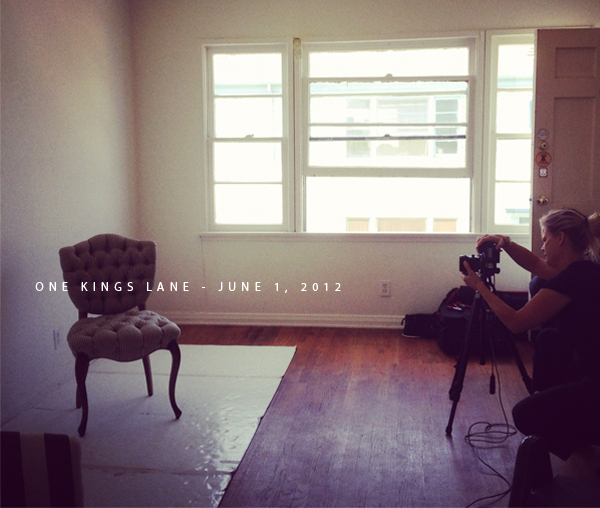 Be sure to mark your calendar for June 1, 2012 at 8:00 am PST to have first dibs on discounted items at my One Kings Lane Tastemaker tag sale. Registering is quick and easy, just visit onekingslane.com here. this all looks fabulous! I can't wait! I wish I could come by! Looks like I'm really missing out.